One of the most interesting things about a homestead is hearing how its name was chosen. Are you wondering how to name your homestead? Are you having trouble coming up with just the right name? Let me share with you the story of how our homestead got its name. I lovingly refer to our farm as Clucky Dickens Farm. The name came from standing water in a flooded farmyard and a mix up of letters when someone suggested our chickens needed to turn into ducks and swim around the yard. They meant to say ducky chickens but it came out clucky dickens instead. Several years ago, my dad surprised me with this sign that he had a friend make. He snuck it on to our old corn crib while we were gone one morning, and it was hanging there to greet us when we returned home later. I sobbed like a little baby. And there weren’t even onions nearby. So. Are you wondering how to name your homestead? 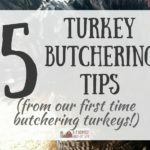 Here are a few tips. How to name your homestead: It might be something you said. Cheryl from Pasture Deficit Disorder says: Our land was a moonscape when we bought it, but we saw its potential. With hard work, lots of loving care and some well-timed rains, it came roaring back to life quickly. I had a picture of beautiful lush winter rye grasses in the Pasture on my bulletin board in my office. I looked up at it one day and said “I think I’m suffering from Pasture Deficit Disorder!” We’ve called our place The Pasture ever since. Emily from Accidental Hippies tells: We first excavated our land to build our homestead when our son was just learning to talk. After the dozer came through, there were big rocks strewn all over and thick, clay soil as far as our son could see. Whenever we’d go up there as a family he’d look around and say, “Big, muddy rocks, Mommy!” It got to the point that whenever we were on the road and getting close to the property he’d holler out in his little toddler voice, “Mommy! We going to Big Muddy Rock!” The name Big Muddy Rock just kind of stuck and now everyone calls it that! How to name your homestead: check the books and movies you love. Charlotte from Walkerland says: Our homestead is lovingly referred to as Walkerland. The name is a play on our family name “Walker” and “Wonderland” from Lewis Carroll’s Alice’s Adventures in Wonderland. It’s a playful expression of the leap of faith we took to pursue homesteading and leave the comfort of our existing world behind and the wonder and excitement that each day brings. Jenn from Little House on the 100 Farm explains: We chose the name Little House on the 100 Farm because we love Little House on the Prairie and we have 100 acres. 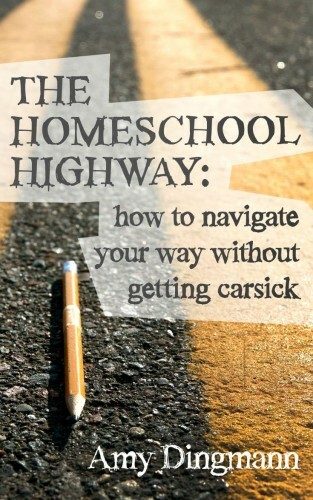 The original name of our blog was Little House on the Hundred Acre Wood after Little House on the Prairie and Winnie the Pooh, which are two of our favorites, but that’s a long name and we needed to find something a little shorter. How to name your homestead: look around your property. Lacey from Sprout and Sprig explains: I wanted our farm to have either “cedar” or “barn swallow” in its name, because cedars are the predominant tree on our 40 acres, and because barn swallows are my favorite bird and they nest EVERYWHERE around the farm. But not a single one of the ideas I came up with felt right. Then, out of the blue, my husband suggested Middle Field Farm. It immediately sounded and felt right. The farm house, the garden and the majority of the pasture are all in the middle field of our property. There is a small lower field, and a large upper field, but both are fallow at the moment. So, Middle Field Farm it is! Janet from Timber Creek Farmer explains: I wanted to come up with a name that combined the sawmill family background and business along with the tree farm area. Of course a large creek runs through the property, and feeds into the Severn River. After many combinations were tried out, Timber Creek Farm was the name we settled on. At the time I thought we were being so clever and unique. Come to find out there are quite a few other variations of this. One is a food supplier in the midwest. I often get messages asking if we have a particular food available or when the garden shares will be ready for pickup! How to name your homestead: dig into your family heritage. Anna from Salt in My Coffee shares: Ours is Wynterwood Farm & Forge. We wanted to tie into our family heritage somehow, so we used an old family name on my side that we’ve traced back to the 12th century. Somehow, the name just “felt” right as soon as we said it out loud, and it seems to fit our windy Maine mountain well. 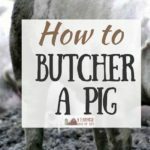 How to name your homestead: where did you come from? What are you doing now? Teri from Homestead Honey tells: Without a major river,creek, or other landmark to lend an obvious name, it was up to us to get to know the land. We wanted something that really fit; fit the land, and fit our sensibilities. And we finally hit upon a name that we like. It’s simple, easy to speak aloud, and yet it speaks to the work that we’re doing, planting seeds of a new life: Acorn Hill Homestead. Ann from A Farmgirl in the Making says: Our homestead is simply known as A Farm Girl In The Making, and though it may not actually be a proper name, it’s who we are. The story of how A Farm Girl In The Making came to be is a good one, but what’s more important is what the name represents. Liz from The Cape Coop shares: We never intended to start a homestead. We were just going to get “a couple chickens”. Then the garden started expanding (originally it was a normal 30 square feet, now it’s up around 700 square feet!). Then came the rabbits and the ducks and the canning and the soap making…..and I never would have guessed how much I would love it all. I wanted a name that reflected our homestead’s beginnings with chickens and our love of our little coastal hometown on Cape Cod – and The Cape Coop was born! Connie from Urban Overalls shares: I wanted something that conveyed my farming/rural roots and at the same time… my present day environment of living in a city. I felt that Urban Overalls blended the two quite well. How to name your homestead: use nicknames. Kathie from Homespun Seasonal Living says: We call ours Two Frog Home—we’re lazy and don’t call it homestead. We named it simply because I’ve always had a love of frogs. My husband is 21 years older and calls himself ‘the old frog’ and me ‘the young frog’ – it just stuck, until it became Two Frog Home. How to name your homestead: it doesn’t have to be complicated. Jess from The 104 Homestead puts it this way: Mine is just my house number. We named our homestead The 104 Homestead when we started selling eggs at the local grocer. We needed labels for the cartons so we did “104” and the 0 was shaped like an egg. 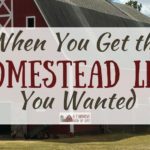 No matter how you go about coming up with a name—it could simply be something that ties with why you decided to become a homesteader—it certainly adds a bit of charm and flair to your homestead. Telling the story of how you came up with a name is something you’ll enjoy telling folks in years to come, and I’ll bet you anything they will love to hear it. Have you named your homestead? Feel free to share your story in the comments. And remember to record the story in your farm journal! That is GREAT ~ and yes you are correct, it would have hit a special spot! Looks pretty cool! It turned out great, I agree! It's not very easy to surprise me, I usually have things figured out. But this one totally totally surprised me! I love it! We named our homestead last year – Big Sky Acres- because we can see sunrise and sunset from our porches (as well as storms and clouds moving in; nothing but good old skies everywhere! Our daughter got us a sign for inside our sun room for Christmas. I LOVE this colorful outdoor sign you have!!!!! This was a very fun read! I have often wondered about the name of our homestead. Still working on it 😉 For now, I remain Homestead Dreamer! When we moved o our farm 4 years ago I had a small collection of rocks shaped like hearts that were given to me from my children and husband. When we walked this land we found an extraordinary number of them. Shortly after we decided to name our farm Heart Rock Homestead. That’s funny, since we started building our house on 5 acres, in Arizona, I have found no less than 4 heart shaped rocks of different types and sizes. We truly believe that it is a sign that this is where our hearts belong. Iron goat ranch started both members were ex military. From there It became Iron Co o.p (most of the members ex military or associated with military). We chose to keep the Iron part for our individual ranches.. so we have Iron Hammer, Iron Wolf, Iron Claw, and myself Iron Dragon..
For the longest time we tried to put cedar in our name since they’re everywhere. But everything sound generic and boring. So we focused on the rocks that makes up 99.99% of the farm. And one day I was going through our library and it hit me. GrimmStone Farm! Husband loved it, so it stayed. We named our place Hidden Feather Farm. Our street name contains the word Hidden and we are in fact hidden from view up on a hillside covered in Oaks. The Feather part comes from when my son was first born and my partner left me at home for the first time with our son, daughter and his dad who had dementia. By the time he got home I was in tears with Feathers from the chickens that my daughter had randomly placed in my hair. I got the nickname Feather Girl that day which has come to mean simultaneously overwhelmed /crazy but still full of joy, an apt description of our life most of the time. On the day we moved in to our new homestead in Missouri (from Delaware of all places) we found an 8 point deer shed lying against our fence line. The name was born….Eight Point Farm! I call my place Valley of Beruch. It is from the old testament bible and it means “praise”. Our last name is Lyons and our farm is on Lion rd…..so we named our place the Lyons Den on Lion rd! This post totally caught my attention! I couldn’t wait to move on to a homestead and name it! Here we are 9 months later and still no name! Not sure why it’s so hard?! I haven’t got my farm yet but I already know what I want to name it. I am a veteran who grew up on a small farm and have endured a lot of personal struggles. I see a lot of other veterans who have emotional issues and some are homeless or not a good place to live. I want a place to invite them to come and find the healing in working in the dirt and learn homesteading skills that have become my road to recovery. The name of my farm will be Reise Farm. A nod to my German ancestry that means “journey.” Like the song lyric “It’s been a long road, getting from there to here” my life has led a convoluted path to become this dream. We named our place Spring Lake Homestead for some pretty simple reasons. Spring Lake is the name of the road we live on, and it’s also the name of the lake that we live very, very close to. We also have several springs on our property, and it just seemed fitting. We found out that it used to be called Spring Lake Farm back in the 50’s, which makes it even better. “Homestead” works better for us since we’re not running a “traditional” farm. I’m hoping to make some kind of sing in the next year or two, because I would like to have a roadside stand and I want it to be obvious to people stopping in where they are stopping! I know of a farm that is named “Damneara Farm” – get it? (Damn near a farm). I’ve always though that is too, too funny! We bought our 10 acres in a Canadian January, so we didn’t see our land untill April. Turns out 6 acres are swamp so we called our homestead Fen Haven Farm. We dont have our farm yet but its unofficially named Kendall Menagerie, Kendall being our surname..
We moved to our farm in May four years ago. We knew we wanted a name for it but nothing we came up with sounded quite right. The that August the back pasture turned purple with a sea of thistles. When we saw it we came up with the perfect name, Thistle Glen. It describes our farm and pays homage to my Scots heritage. What a gift! That is how it was intended to be! What a wonderful gift from your not too distant family!! I have a flare for everything French & romantic so we named our place Partridge & Hare Fermier for the rabbits & quail we raise which will always be staples at our growing homestead. My husband and I bought 110 acres of riverfront for a self-sustaining ho,mestead. We are retiring stock brokers, so we named the farm Black Shoals. It is a double entendre. The river contains some shoals, and Black-Scholes is also a method for theoretically estimating the price of European-style stock options.. Your former career might also be a source of names for your farm. When we retired a few years ago we planned on never working again. Hence the name EDIS Farms. EDIS stands for, Every Day Is Saturday..
We are just in the process of starting our farm. We named ours after the location it is in. We live right on the Kentucky River in a curve of the river that looks like a tooth (a molar to be exact). We are also in a valley, so we named our place Rover Tooth Hollow. We relocated to a small island off Cape Breton, Nova Scotia. Maritimers refer to us as ‘from away’. From Away Farm seemed appropriate. My grandmother named her farm “High Hill Farm.” I live at the bottom of a hill on a pice of her farm now. She’s been gone for 17 years, but have have decided to call my farm “High Hill Valley” in her honor. Thank you for sharing your stories! I’m still a newbie, and enjoy reading about your adventures. We used to live in the middle of town on the side of a hill, we had 25 chickens and ducks. And we sold our lawn mower cause the yard had been over taken by my veggie, herb and flower gardens. And at the highest point i used to plant tons of sunflowers for the sun to set on. So we call our new place Sunflower Skylines as a ode to our begginings. A friend actually named our first ranch when she visited it for the first time. We “inherited” two rabbits with the place that lived somewhere near the barn. They had been dumped there previous to our buying the place. They had become feral and where generally afraid of humans. Add to that, my friend was stunned that my husband and I would take on this new adventure of buying a ranch when we were just turning 60! She decided to call the place “Wild Hair Ranch” first, after the hares living there and secondly, since clearly my husband and I had got a wild hair to start horse ranching this late in life!